When hiring last minute movers Tampa residents should consider a number of factors that can influence the timeliness of your move, the safety of your belongings, and the quality of the service that you receive. 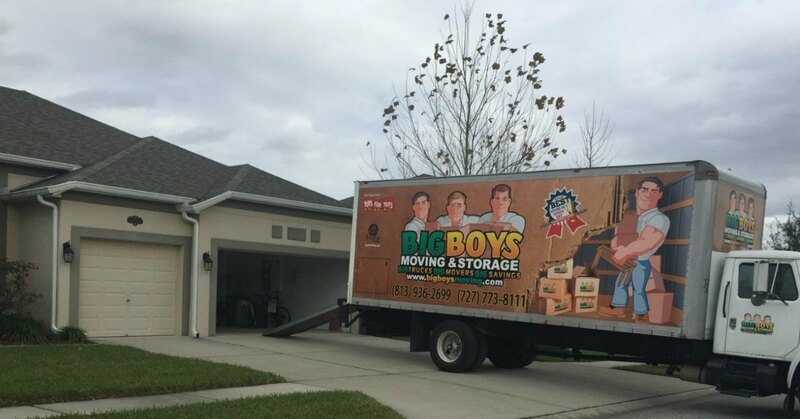 Here at Big Boys Moving and Storage, we are familiar with these crucial principles of what makes a good moving company because we are the best Florida moving company and have been voted as such for nine years running! 4 Things to Consider When Hiring Last Minute Movers Tampa Residents! 1. Finding a Good Moving Company For a Last Minute Move is Hard! Good moving companies are booked for weeks or even months in advance which can make hiring a last minute moving company exceptionally difficult. Here at Big Boys Moving we always try to set aside a few moving appointments for these customers, but they book up fast! That’s why it’s important to book your movers as soon as you can – even a day can make a difference in availability! When you are hit with a last minute move every second counts! This means that you can help to make your move go faster by pitching in with packing. Professional packing services are a great add-on service that we offer to our clients, but when you leave your move until the last minute they aren’t always available. If you find yourself in this situation, have your packing materials on hand and start packing with every free moment you have – little bits here and there will add up in the end! When hiring last minute movers Tampa, it’s important to know your limitations. Yes, you are looking to save time by doing whatever you can such as packing, but you will end up dragging out your move if you get hurt. Know your limitations and that you can’t do it all yourself. Make sure you aren’t putting yourself at risk for aches and sprains and leave the larger or heavier items for the professionals to move for you. Things rarely go exactly to plan, even the most well-executed move. When you add in a relatively small window to get a job done you are only increasing the chances that things won’t go exactly to plan. When you hire your last minute movers make sure that you ask plenty of questions and prepare yourself for any “what-if’s”. For example, if your mover gives you a quote range, prepare for the highest end of that range so that there are no unexpected surprises on moving day! Looking For a Quality Moving Company to Help You With Your Move? If you are looking for a Tampa moving company to offer you the high-quality service that you deserve, give us a call at 813-936-2699! Here at Big Boys Moving and Storage, we treat your property as though it was our own because our reputation depends on your happiness.